As we all know that SSC CGL 2016 tier 1 is over and Tier 2 is supposed to be held around November 2016. 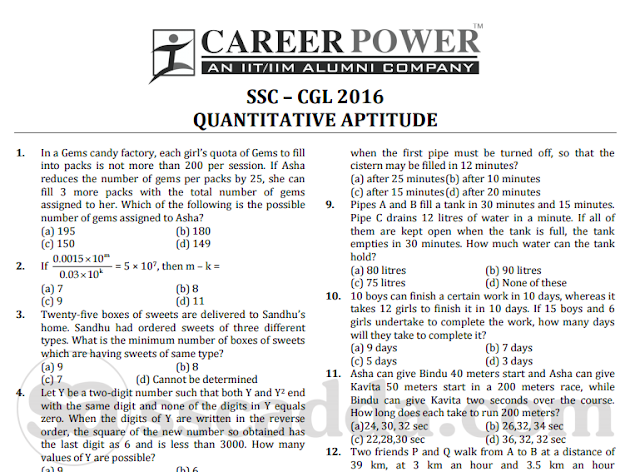 In this post we are sharing mock test paper for SSC CGL 2016 Mains (Tier II) Paper. This mock has been prepared by CareerPower and credit goes to them. we'll add man more mocks soon.